The rise of digital marketing has completely reshaped media agencies over the last 10 years. Clients expect agencies to be technical experts at delivering content rapidly and reliably – and want agencies to help them navigate new technologies. Amazon Web Services (AWS) is a cloud platform that is designed to help companies launch (and tear down) websites and other digital content more quickly for less cost. Think of it like a toolkit of hosting services that lets you easily launch a holiday microsite for a retail client and then shut it down after the holidays, all without forcing IT to buy extra servers or pay for a low-cost (but unreliable, and potentially relationship-damaging) hosting service. 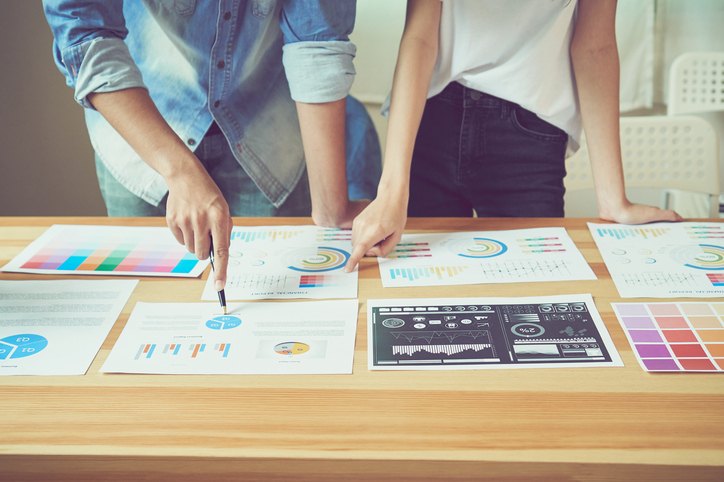 The biggest digital media agencies are already using AWS to reduce costs and provide greater data processing power for their client dashboards. AWS is also the largest cloud platform in the world, and 65% of companies surveyed by Gartner in 2017 think of AWS as a “trusted enterprise partner.” Here’s why. A variety of market pressures, including technological change and demand for new operating and contractual models, mean that agency margins are thinner than ever. Additionally, there is increased pressure to deliver billions of data points in CRMs to customers, which contain customer interactions, ad prices, bids, etc. IT is under tremendous pressure to improve services while cutting costs. If your IT department is running a couple of on-premises servers or renting out servers in a large datacenter, then the chances are that moving your existing applications to AWS are not going to yield much cost savings. However, if your agency is building a new application for a customer, or have a seasonal application, AWS can cut your costs significantly. Razorfish’s AWS deployment is a good example of this – check out their full public case study on the AWS website. During the holiday season, their clients were delivering more targeted ads and therefore needed a customer segmentation system that could support petabytes of data. They used this system to process and optimize user engagements. Rather than provision an additional estimated $500,000 in extra hardware (which would only have been used during holiday peak, and wasted for the rest of the year), they spend about $13,000 per month on AWS, and can scale back after the season is over. Companies that spend a significant portion of their IT budget on database licenses will also fi nd cost savings with AWS’ managed database service, RDS. Recently, Logicworks helped a retail company move their database from Microsoft SQL Server to RDS for SQL Server, which helped them reduce overall database costs by 43%. That said, remember that running on AWS cloud doesn’t automatically mean you save money. Make sure that your AWS environment is managed by an experienced team, because it’s easy for costs to spiral out of control – and if you “forget” to turn something off , or spin up something by accident, or don’t track what your developers are spending, you could be in trouble. A cost tool like Cloudcheckr or CloudHealth can help keep you on track. 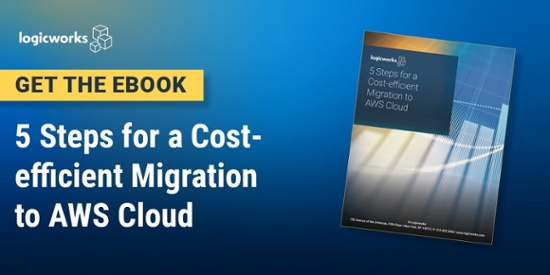 Learn more about how to maintain cost efficiency on AWS in our eBook: 5 Steps for a Cost-Efficient AWS Cloud Migration. A media agency recently got approached by top global electronics manufacturer to create a new customer service portal. It had to be available all around the world, in 75+ languages. And it had to be done in 3 months. As you can imagine, the agency immediately set to work on building the portal. All of their engineering talent was focused on software development. But their development team couldn’t quickly launch and test their app on their on-premises servers – and it was going to take 3 months just for the IT team to get the resources to support the portal. That’s when the company’s IT management decided to try AWS. After Logicworks’ help, their developers were running and testing on AWS in a matter of weeks. They spun up new AWS environments in minutes, and tore down the environment when they weren’t using them. When they launched in production, they knew that the portal wouldn’t go down – because it scaled automatically to meet demand. By meeting their project deadline, achieving 100% uptime and lowering latency for overseas customers, the media agency made their clients very happy. A word to the wise. While it’s easy to set up one or two servers on AWS, setting up a complex, enterprise-grade system that can be easily replicated and scales automatically is not easy. Hire a cloud systems engineer (or a team of them), or leverage a partner like Logicworks to help. Learn more about the technical mechanics of building a developer-friendly AWS environment with AWS CloudFormation, Service Catalog, CodeDeploy, and other tools in our eBook: DevOps on AWS. Whether you’re launching a website to customers around the world, serving ads, or delivering personalized content to each viewer, it’s critical that digital content is delivered with low latency and high security. AWS CloudFront is a CDN that is used by companies like Hulu, Spotify, and BrightRoll to deliver content quickly to global customers. What is a CDN and why should you care? AWS CloudFront speeds up the delivery of your content. When an user requests content that you’re serving with CloudFront, they are routed to the edge location that provides the lowest latency. If that location has the content cached, it’s delivered to them. If not, CloudFront retrieves it from your storage (AWS S3), which can either be in one location or in multiple regions across the world. That means every user, no matter where they are in the world, is able to access content quickly. Marketers know that latency is one of the biggest causes of high bounce rates, low clickthroughs, and user dissatisfaction, so agencies should pay special attention to their choice of CDN. But it’s not just about the CDN itself – it’s also about how CloudFront is integrated with other AWS services, and built on top of a high performing, global network of data centers, which is why it’s the top choice for the largest content distributors in the world. Download AWS’ great eBook onCloudFront, or CloudFront documentation, which gives a thorough overview of how to set up CloudFront in your AWS environment. If your customer is a tech startup or digital company, they will expect you to be knowledgeable about the cloud. Most tech startups run in AWS, and if you already have internal applications on the cloud and established partnerships with platforms and vendors, they will feel like you’re talking their language. The other half of your clients probably don’t think about infrastructure at all – they are focused on the success of the overall campaign. The only time they care about infrastructure is when it doesn’t work. A microsite that goes down or ad assets that stop delivering are two of the quickest ways to end an agency relationship. AWS makes it easier than ever to build in fault tolerance into your application. For example, it could be argued that the most useful aspects of auto scaling are high-availability and redundancy, instead of elastic scaling. Virtual instances are put into a fixed-size auto scaling group so that if an instance fails, it is automatically replaced. The simplest use case is an auto scaling group has a minimum size of 1 and a maximum size of 1. If your instance goes down for any reason, you can automate a trigger to spin up of another instance to replace it. In fact, a report by IDC found that applications running on AWS experienced 81.7% less downtime. Logicworks manages hundreds of customer environments on AWS, and we have a 100% uptime record. AWS also makes it easier for you to fix something when it goes wrong, especially if you’ve automated failover. A report by Puppet, a popular infrastructure automation tool, found that automated infrastructure improved the mean time to recover from downtime by 96 times – to under and hour. Rather than manually trying to fix a server, your IT team can just make a copy of the AWS instance and get it up and running in minutes. If you don’t want to build AWS competency in-house, find a partner like Logicworks. They can help you migrate existing systems to AWS or even manage your AWS environment 24×7. Getting the right people on the job will ensure that your customers are protected. Read AWS’ whitepaper on building reliable cloud systems. Digital media and marketing companies that help customers through the digital transformation process are the ones that will grow in 2018 and beyond. Running on the AWS cloud improves campaign outcomes, builds customer trust, and can also help media agencies cut costs. AWS Cloud has been around for more than ten years, and is now the most comprehensive, secure, and widely-adopted cloud platform in the world. Media agencies can leverage the platform to help clients reach consumers wherever they are – all while improving the agency’s ability to adapt to our rapidly changing digital world. Need help running on AWS? Contact Logicworks to learn how we help media agencies design, build, automate, and manage AWS cloud environments.